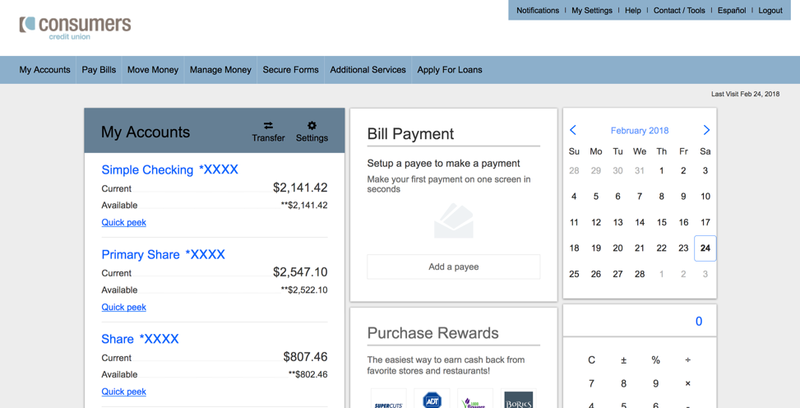 On March 13, Online Banking will be upgrading its user experience to include an all-new interface that responds to fit the size of your device. So whether you’re banking on a mobile phone, tablet or your desktop, the screen will now be optimized for greater ease of use. Your menu options won’t change, but the tools and widgets will sport a fresh new look. Your account number can be found by clicking “Account Details.” Your information will appear in the drop-down. If you have any questions about navigating the new Online Banking experience, please call our Member Service Center at 800.991.2221. Is there a way to add a button to the calculator – lets say “Available”, when clicked, it would display the available balance and from there one could add or subtract whatever they want. Just beats a few more keystrokes, not sure if its much value added. Unfortunately we are unable to change the calculator, but will keep in mind for a possible future enhancement with our vendor.